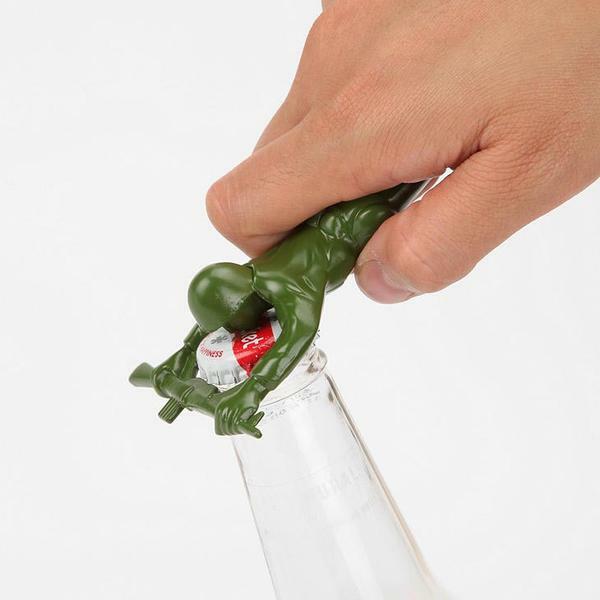 The army man has received a new mission to open your favorite beverage. If you want to deploy him in your house, let’s go on checking the army man shaped bottle open.This is a pretty cool bottle opener that measures 2.5 x 4.5 inches.As we can see from the images, the bottle opener is shaped as a classic army man, and comes with nice details and iconic green coating, while the vivid posture shows you he is working on a stealth mission. Moreover, the green army man is made from die-cast metal so his chin is strong enough to open those metal caps in order that you can enjoy your favorite beverages. 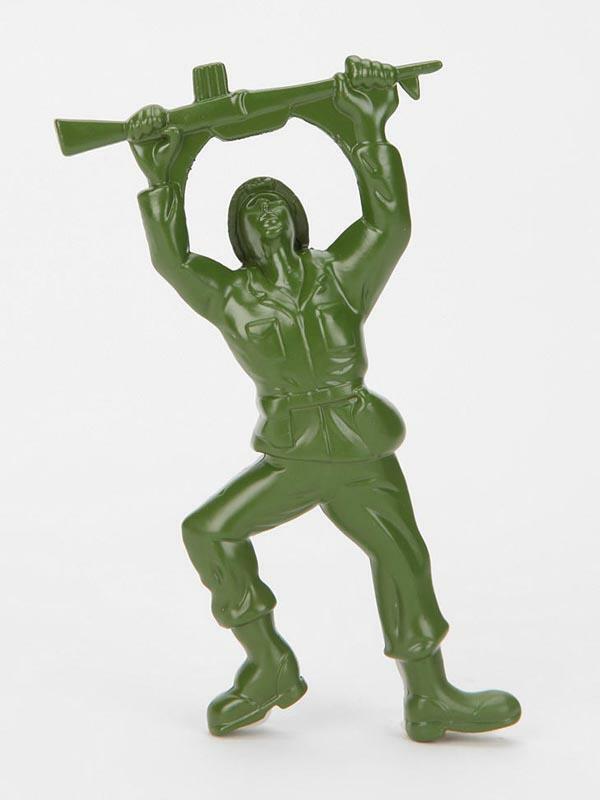 Don’t worry about breaking his chin and the gun in his hand.The green army man shaped bottle opener is priced at $16 USD. If you’re interested, jump to Urban Outfitters for more details. Additionally, if you need other options, you might like to check the Millennium Falcon bottle opener and more via “bottle opener” tag.